Camp Fire offers various events throughout the year across the greater Puget Sound region. 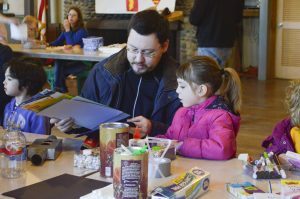 Some of these programs include fun community events such as a day at the Seattle Aquarium, a Mariners game, museum days, an Outdoor Skills Day, Group Camping Weekend, and Camp Fire Celebrations. Additionally, Camp Fire is committed providing opportunities for youth of all ages to be engaged with their communities and offers various service projects throughout the year. 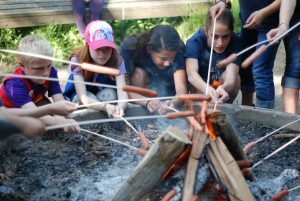 We love to keep Camp Sealth and Camp Fire Groups connected and offer family camps throughout the year. In mid-winter, we offer Dad & Kid Camp, a weekend at camp with kids and their dads! Just around the corner in spring, we offer Special Family Camp for children with special needs and their families. Right before summer, we offer Summer Family Camp for families and Camp Fire groups to spend the weekend at Camp Sealth experiencing fun summer activities. These events are open to both Camp Fire members and non-members. All are welcome! Learn more about Year-Round Camp Events at Camp Sealth! 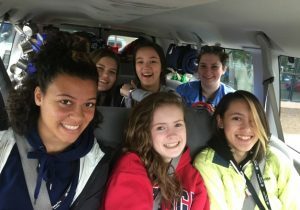 Camp Fire offers many opportunities for teens to get involved in their communities and build leadership skills, such as our Teen Leadership Summit in Seattle, the Teen Leadership Retreat at Camp Sealth, Spring Break Road Trips, the Teen Takeover, Teens in Action groups, and more. Learn more about our Teen Leadership opportunities!